This month marks two years since I was diagnosed and began my treatment for hemochromatosis. Just as a refresher, hemochromatosis means your body stores too much iron or ferritin. It is stored in the organs, joints, and is toxic! Too much iron can lead to cancer, arthritis, organ failure, and other scary stuff! As summer drags on and temperatures stay in the high triple digits, we're all drawn to the water. So here's some safety tips to always keep in mind and make sure you're always learning more! Teach kids to swim early and go back to lessons every year! 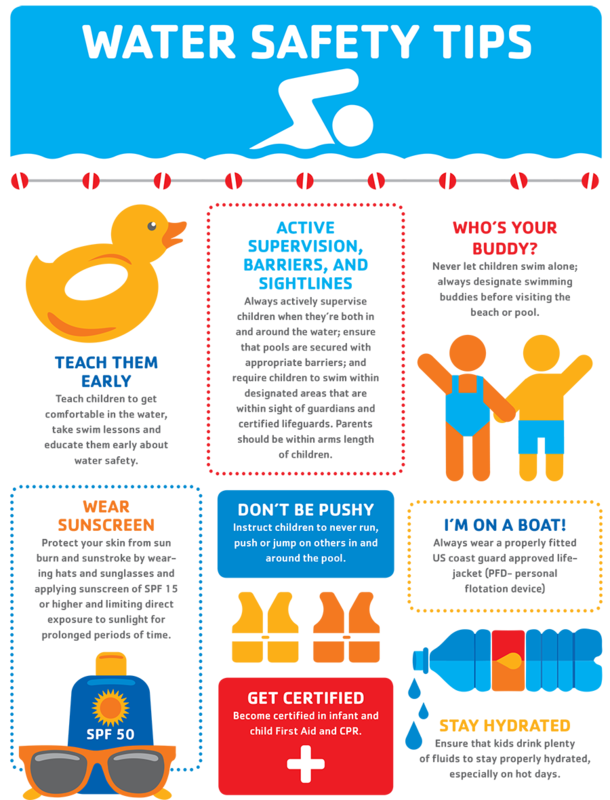 Make sure babysitters and care givers know about water safety! Train them! Learn CPR and post the instructions near pools and spas. Practice! Never assume someone is watching kids around water. Be sure! Empty all tubs, buckets, and cups. Store them upside down. Keep all children at an arms length when bathing. Stay safe and always supervise! This week marks one year since I was diagnosed with Hemochromatosis. Hemochromatosis is when your body absorbs too much Iron. Here's an update on my hemochromatosis! The roller coaster ride of Hemochromatosis and Iron levels is emotional and stressful. If you have followed along on my hemochromatosis journey, then you know that every week I get a phlebotomy. Which is a fancy word for blood donation. If you haven't followed along, then you need to catch up on previous blogs. Also, watch this video. This week was no different than any other and I began my preparations 36 hours prior to my scheduled phlebotomy. The best preparation is hydrating, eating well, and resting. When Tuesday came I was ready and confident, I had even given Shane the week off and brought my good friend, Amy. So, as you may have read in last week's blog, things didn't go so well. That's probably the worst it can get for a phlebotomy patient. Not to mention, it was only my second phlebotomy ever! Going in to this week, I was scared. Donating Blood and Almost Passed Out! I have Hemochromatosis and every week I have to go in for a Phlebotomy, which is a fancy word for blood donation. Every Tuesday I go in to donate a pint of blood and this week was no exception. Little did I know what a crazy experience it would be. I recently found out that I have Hemochromatosis. This means that I have to medically extract the excess iron from my body via phlebotomies. That's a fancy word for donating blood. Learn more about Hemochromatosis and my journey.